Jaypro Sports was Eager to participate in 2017's EAMA awards. The Eastern Advanced Manufacturing Alliance offers an opportunity for high schools to partner with local manufacturers. This initiative educates students on the importance of the manufacturing business and how manufacturing evolves with new technology. The students from New London Science & Technology Magnet High School interviewed our employees, recorded our manufacturing processes and took photos of our products to assemble a video showcasing our company. 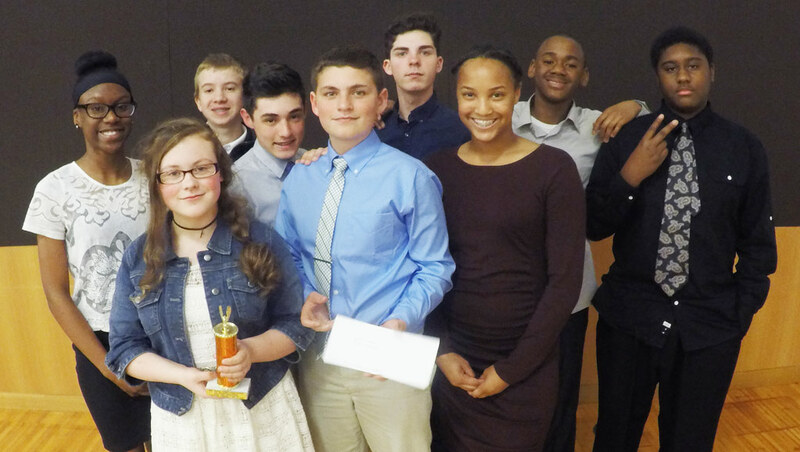 On April 26th, 2017, a film festival was held at Three Rivers Community College in Norwich, CT. Each featured different local manufacturing companies filmed by local high school students to be viewed and voted for by a panel of judges for the best video. Jaypro Sports and NLSTMHS won 2nd place for viewer’s choice award. NLSTMHS did a spectacular job and we are pleased with the recognition Jaypro Sports has received from this competition. We look forward to participating in the future.